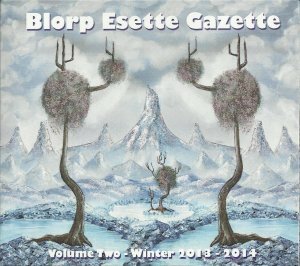 This second volume of The Blorp Esette Gazette got released about half a year ago. Compiled by Ace Farren Ford and Ju Suk Reet Meate, it presents a selection of experimental music from the Los Angeles area. Track one is Don Van Vliet's 'Sugar N' Spikes' bass solo as performed by The Reverend Toad-Eater (from a Jan 10, 1976 Ace & Duce rehearsal session). Released on the Transparency label. One of my recent trips abroad took me to Finland. As I was fortunate to be able to spend some time in Helsinki, I also visited the excellent Digelius Music record shop, specialised in jazz, avant-garde and world music. 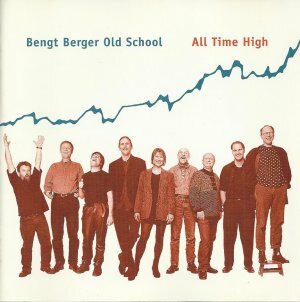 Browsing through the second-hand section, I did find this excellent Bengt Berger Old School album: "All Time High", featuring the fabulous Mats Öberg on vocals, clavinet, moog, accordion and harmonica. Digelius Music, Laivurinrinne 2, Helsinki, Finland. 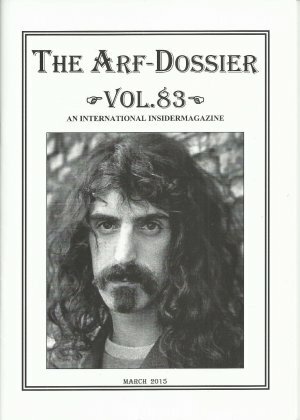 Volume 83 of The Arf-Dossier is out. Published by the Arf Society. 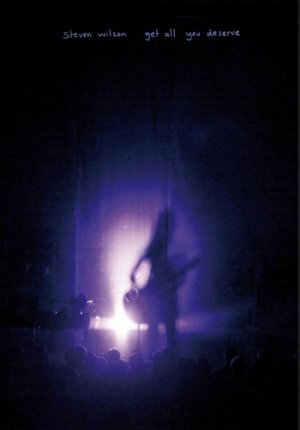 With a lot of nice pictures, some fine reviews of zappaesque releases, bootleg-reviews and Zappa-related news in general. Legendary improv-rock pioneers Col. Bruce Hampton & The Aquarium Rescue United to reunited for limited tour dates this summer. Promo picture for the upcoming Capt. Cheese-Beard album !! The Eremite record label is reissuing a couple of Alan Silva album. Alan Silva was part of the Sun Ra Arkestra and has also performed and recorded with Bill Dixon, Cecil Taylor and Albert Ayler. Friday night at the SXSW show, the announcement was made that I was not going to continue live performances. Some people thought I was going away entirely, but that is far from the case. I am merely realigning my priorities. I am far more interested in developing new projects, especially new music projects. Despite the concept album format having lost favor, I am still enamored with the idea. I see no reason not to return to what I love to do. Touring will continue without me, but you probably won’t notice much difference. I’m still writing arrangements and working on the production. And with masks, who can tell anyway. I think the shows are only going to get better. Thanks to my friends, Randy, Bob, and Siri for their participation. Thanks to the ongoing lobbying efforts of my fellow Zappa-freak-friends, I started listening to Steven Wilson. I did take a false start as I checked out some other bloke called Wilson on YouTube (and wasn't impressed), but the real deal sounds quite amazing. "Get All You Deserve" captured Steven Wilons and his band during their "Grace For Drownin" 2012 tour in Mexico City. Great tunes, astonishing musicians - including Theo Travis (Gong, Soft Machine Legacy) and Marco Minnemann (Aristocrats - all in a beautiful package : One video DVD, two audio CDs and a Blu-Ray disc. Playing the DVD on my computer did produce some weird volume fluctuations. Caused by standard software dolby settings. It did sound great after a change of these settings. "Shadowland" presents Randy, Chuck and Bob during the third part of their 40th anniversary tour. 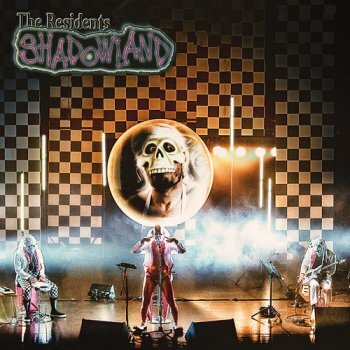 Performing material from their entire career, "Shadowland" is an excellent release. 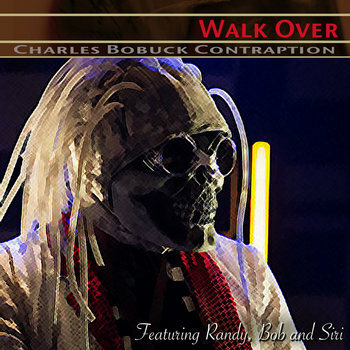 Adding something extra to the official release party of "Shadowland", Charles 'Chuck' Bobuck released "Shadow Stories". 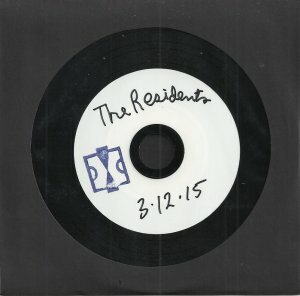 This CDR was made available in a limited edition of 100 copies. It got sold together with the "Shadowland" album at the Santa Cruz show on March 12. Living in Yurrip, Santa Cruz was just a bit too far away to attend the show, but thanks to Neil I got hold of the "Shadow Stories" album. "Shadow Stories" includes one compostion, about 25 minutes long, presenting a reworked version of 6 shadow stories that didn't make it onto the "Shadowland" CD. 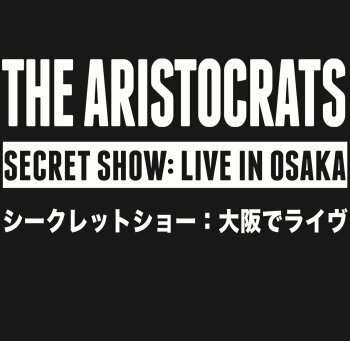 The Aristocrats' 2014 world tour brought Guthrie Govan, Bryan Beller and Marco Minnemann to Japan where they performed at the 'Big Cat' club in Osaka. The show got recorded by Takashi Ogawa without the band's knowledge. When they heard the recording afterwards, they were impressed enough to release it as a double cd set. The recording does indeed sound excellent, and the show was great. An excellent decision to release it on album. The Muffin Men - MufFinZ Power Quartet. Rhino (drums), Jumpy (guitar), Phil (keyboard) and Roddie (bass). Zappa's Nov 17, 1981 Ritz concert is getting (another) dodgy re-release. 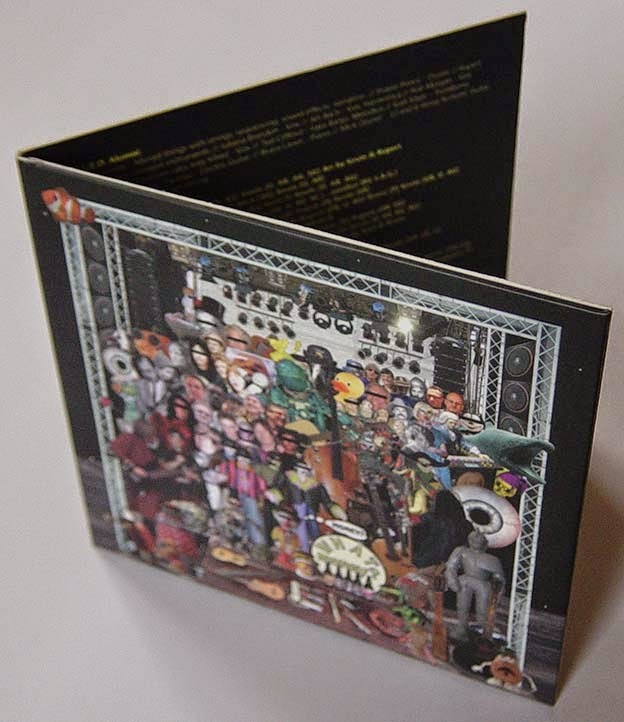 Entitled "Frank Zappa - Teenage Rockin' Combo - Dumb All Over Live 1981", to be released on the sixth of April as a 2 CD set. New Steve Vai album, "Stillness In Motion" (Live in L.A. 2012), got announced for next month. It will be out on CD and on DVD ! Captain Beefheart's "Ice Cream For Crow" and "Doc At The Radar Station" will get a limited edition CD re-release. ZERO (The Zappa Early Renaissance Orchestsra) 's new album "Money, What Money" is out now on Cordelia. The Skordatura Punkjazz Ensemble is kicking off their crowdfundingproject (for the new album) with a concert at 'Vrijstaat O' in Oostende, Belgium on March 27. April 30, at de Vooruit in Ghent, B. May 1, at de Gentse Standshal, Ghent, B.
Italian rock band Ossi Duri will be doing a concert entitled "Zappa in Jazz". at the 'Mi-ro Badile-mi' in Zibido San Giacomo, Italy. 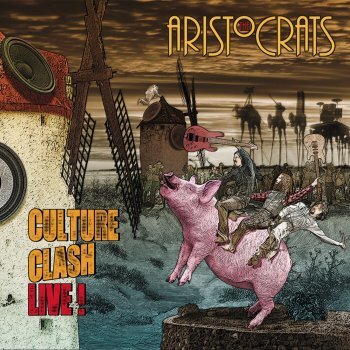 THE ARISTOCRATS - CULTURE CLASH LIVE ! "Culture Clash Live!" got recorded during the Aristocrats' 2014 tour. One fine disc with audio, and a second one with a collection of videos. I got the opportunity to see Guthrie Govan, Bryan Beller and Marco Minnemann in concert at the 'Paradox' club in Tilburg, NL, in (I guess) February 2014. Quite a show it was. "Culture Clash Live" shows that The Aristocrats not only played an excellent show in Tilburg, but that they performed a remarkable series of shows. The Banned From Utopia is planning a European tour from October until November 21. Frank Zappa is one of the twentieth century’s most important composers. His works of more than eighty albums is by far the most voluminous and versatile of the entire generation rock (encompassing of course jazz as well as avant-garde, contemporary classical and orchestral music!) – even though his untimely death in 1993 left him with only half the time that was allowed to the Dylan-Jagger-Bowie-or-Springsteens. In 2015 Frank Zappa would have turned 75. High time to acknowledge his emormous legacy! And who would be as fit to do so as the incredible musicians he himself had recruited for his band? As Banned From Utopia, referring to Frank Zappa's album "The Man From Utopia", they please the connoisseurs and convert the curious into dedicated fans. Having played on innumerable Mothers / Zappa albums, the musicians of this virtuoso fusion ensemble are performing classics from all eras. Suffused with the authenticity of their deep Zappa history. They can do that on stage still. And there's no way of getting closer to the original! Ifa Y Xango formed in 2010 and released their first album, "Abraham", in 2013. The, at that time, septet combined jazz, improvised jazz, classical music and rock. In the meantime, the septet grew to a tentet and the band has just unleashed a new album. Released by the El Negocito label, "Twice Left Handed / Shavings" presents 5 compositions. Recorded live in one room, as the CD adds. The result is beautiful. Itimate moments are juxtaposed with high energy soundscapes. MoonJune Music in association with our European associate Swex Booking & Productions, is pleased to announce the STICK MEN 2015 WORLD TOUR. Accepting inquiries from USA, Canada, Mexico, The Caribbean. The 1969 release by Rebecca and the Sunny Brook Famers, entitled "Birth", might be considered the birth of Chunky, Novi and Ernie as all three were part of this band. The trio released their first album in 1973 on the Reprise label (and Frank Zappa contributed backing vocals to 'Rosalie'). go to artists: "String Planet"
and be sure to look at Parts 2 (early years) and 5 (mentioning Frank Zappa). The Ward Records label has recently released two boxes that feature Eddie Jobson. The first one is "Curtain Call" by U.K. It's a Blu-Ray (or DVD) set that includes live performances of the "U.K." and the "Danger Money" album. The second one is "Four Decades" by Eddie Jobson. 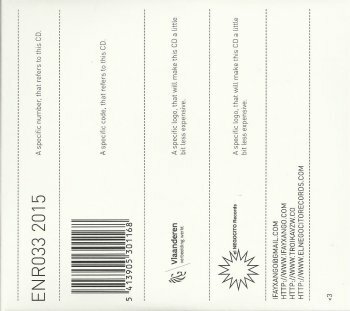 This is also available as a Blu-Ray (or DVD) set and presents the retrospective concert that Eddie Jobson did. "Four Decades" includes material from his time with U.K., some solo material and even a Frank Zappa tune !! Thanks to Galeans for his fine post at Zappateers. I wouldn't have known about it otherwise. Gene Pritsker's is about to release a new chamber opera CD in May 2015 on Composers Concordance Records, distributed by Naxos. The opera is called ‘Manhattan in Charcoal’. "Manhattan in Charcoal" explores the life and loves of an artist in New York City in the early days of the 21st Century who struggles to find his way, retain his integrity and, in the meantime, not to go entirely crazy - all the while enduring poverty and lack of recognition. In its dramatic conclusion, the triump of Manhattan in Charcoal resonates in the unanswerable questions the opera leaves us with, regarding art and love, and the survival of both. As an interesting extra, the ensemble will have a rehearsal that will be open to public. Sunday 22 march at the Conservatory in Amsterdam, from 15h00 until 17h00, at the Blue Note room. Do-it-yourself post-punk band the Deep Freeze Mice released ten records in their decade-long existence. The original lineup -- guitarist/vocalist Alan Jenkins, bassist Mick Bunnage (of the Statics), keyboardist Sherree Lawrence, and drummer Graham Summers (also of the Statics) -- stayed intact until the release of the band's third record, The Gates of Lunch. After the departure of Summers and the acquisition of replacement Pete Gregory, the lineup remained until their breakup in 1989. Leader Jenkins (who was also involved with the Chrysanthemums and Ruth's Refrigerator during the existence of his primary band) continued afterwards in the Creams and the Thurston Lava Tube. All of Deep Freeze Mice's records were released in small quantities through the band's labels, Mole Embalming and Cordelia. Alan Jenkins' Cordelia Records recently released the fourth album of the Deep Freeze Mice, "Saw A Ranch House Burning Last Night". It includes a 20-page booklet and 12 bonus songs. Overture From Frank Zappa's "200 Motels"
In October 2013, the Los Angeles Philharmonic Orchestra, under the baton of conductor Essa-Pekka Salonen, recorded the music of composer Frank Zappa which he had originally scored for his cult-classic movie “200 Motels.” This limited-edition, purple-colored 7” single contains the opening piece from the concert, “Overture” (from 200 Motels) and another gem from the Zappa canon on the B-side; the previously unreleased recording of “What’s the Name of Your Group?” from the original score performed in 1971 by Zappa with the Royal Philharmonic. 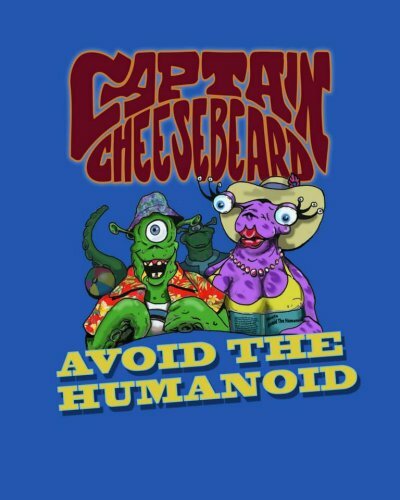 Captain Cheese-Beard announced that the (eagerly awaited) debut album will be released in Spring 2015. Original material (with zappa-esque twists and turns). Entitled "Symphony For Auto Horns" ! One of the tracks features Robert Martin on vocals ! Released in a 'limited' edition of 3000 copies, the San Francisco based Harte Recordings presents this 40th anniversary edition of "Space Is The Place". 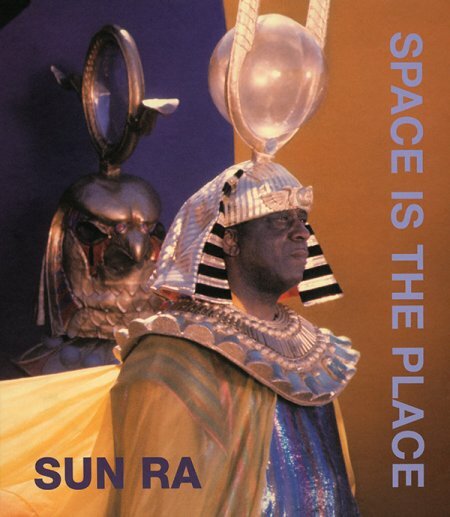 - Sun Ra & Arkestra home movies. I just finished browsing the 120-plus page book. Fine interviews and gorgeous pictures. Last summer KEENROH won the prize for Young Jazz Talent at Ghent Jazz festival. This duo brings a sort of instant composing that embodies impressive musical courage and a great variety. Important musical principles of this duo are the large spectrum of sounds and use of intense dialogues. Keenroh integrates this approach into an electric-acoustic setting. 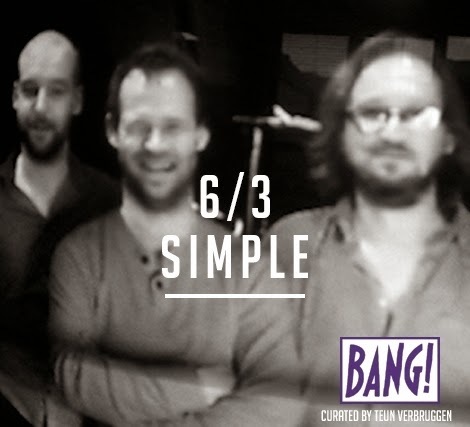 Composer / producer PIERRE VERVLOESEM (Flat Earth Society, Kings of Belgium, X-legged Sally, A Group ...) returns with a new quartet: SIMPLE. The music of Simple is avery naive, almost grotesque version of jazz. It includes very diverse elements ranging from French film music, over New York's new wave of the '80s and the most miserable prog-rock to the most enlightened modern jazz. Zita Swoon Group presents Nothing That Is Everything : a multidisciplinary performance. Nothing That Is Everything is based on a short film that reconstructs one of the first performance of Dada at the Cabaret Voltaire in Zurich. The film contains all the elements Stef Kamil Carlens and his associates use in their performance: costumes, dance, music, rhythm, poetry, a confusion (of tongues) and humour. A track from Zita Swoon Group's new performance NOTHING THAT IS EVERYTHING, premiere on March 13 2015 in Kaaitheater, Brussels. Theory of Obscurity: a film about The Residents - Festival Trailer from Don Hardy on Vimeo. 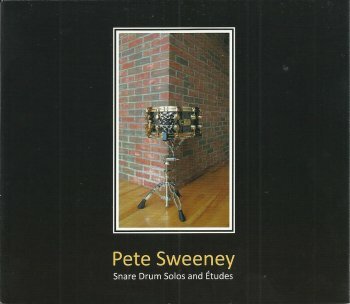 Pete Sweeney recorded Frank Zappa's 'The Black Page' on his "Snare Drum Solos and Etudes" album. "The last track is 'The Black Page #3" which is my reinterpretation of the themes originated in "The Black Page #1". I was half awake from a nap when I got the idea to play 'The Black Page' backwards. 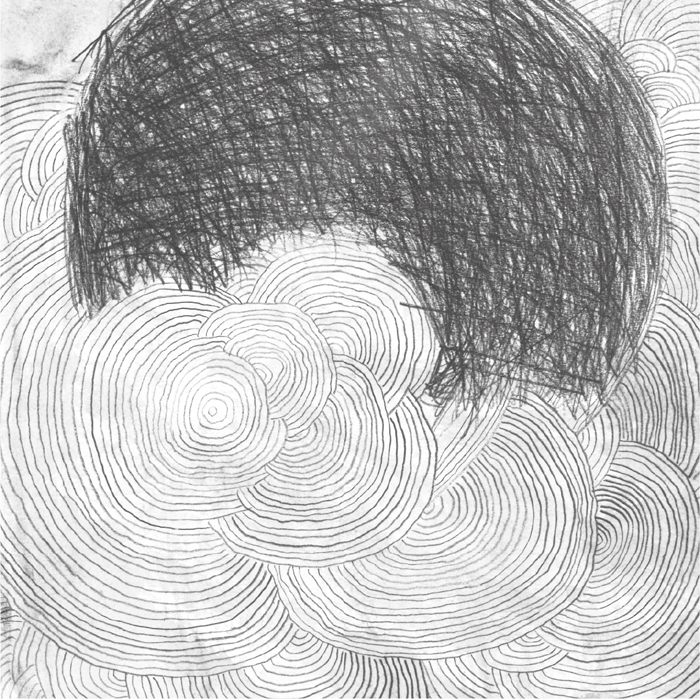 This is not a literal retrograde, but my version of one. maybe Zappa would have liked it!" I finally managed to get all the data of this impressive release in the United Mutations Archives. 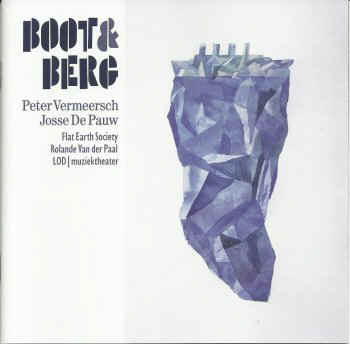 Disc one is "Boot & Berg", a collaboration between Peter Vermeersch (music) and Josse De Pauw (texts). 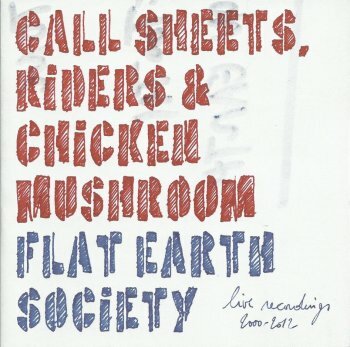 Performed by Flat Earth Society, Rolande Van der Paal and Josse De Pauw. Disc two is a compilation of X-Legged Sally tracks. Taken from the 6 X-Legged Sally albums. 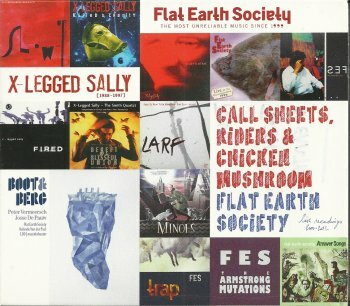 And disc three collects various unreleased recordings by Flat Earth Society, some of them with (very) special guests. For his eight solo album, Indonesion guitarist Dewa Budjana went to the East Coast. With the help of Leonardo Pavkovic (of MoonJune Records), Dewa Budjana assembled an impressive band: António Sanchez on drums, Ben Williams on upright bass and Joe Locke on vibraphone. António Sanchez and Ben Williams played together previously in Pat Metheny's Unity Band project. "Hasta Karma" got recorded at the Kaleidoscope Sound Studio in Union City, NJ, in one single day which, given the complexity of the music, is quite an accomplishment. The music itself is excellent. And Joe Locke's vibraphone sounds great next to Dewa Budjana's guitar. 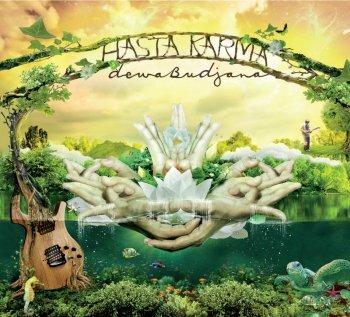 The most endearing track on "Hasta Karma" is 'Ruang Dialisis", a composition that Dewa Budjana dedicated to his late father. The piece includes a sampled recording of the guitarist's grandmother, chanting a traditional funeral song for her son. Somewhere around 2003 / 2004, Bruno Vansina and Teun Verbruggen founded the Rat Records label. In the meantime, some thirty albums have been released, most of these featuring Bruno Vansina and / or Teun Verbruggen in various line-ups and settings. The very first Rat Records album saw the light of day in 2004. 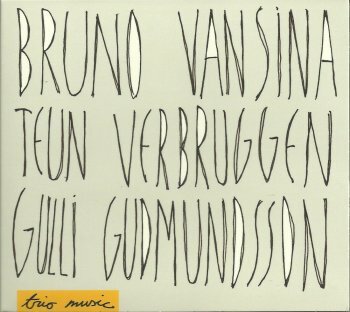 "Trio Music" by Bruno Vansina, Teun Verbruggen and Gulli Gudmundsson contains a selection of various live concerts that were done at the Buster jazz club in Antwerp, Belgium, between September and December 2003, including two John Coltrane pieces. 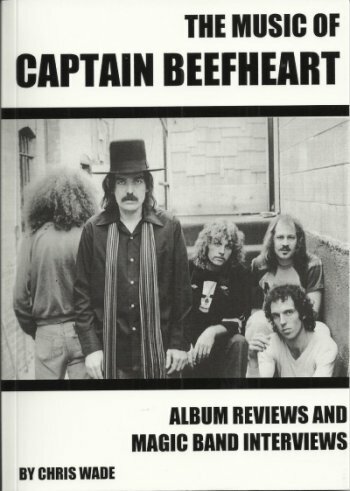 "The Music Of Captain Beefheart - Album Reviews and Magic Band Interviews" is a new book on Captain Beefheart in which Chris Wade chronologically talks about every album that Don Van Vliet released. From "Safe As Milk" to "Ice Cream For Crow"
In-between the album reviews, there are some interviews with former Magic Band members. 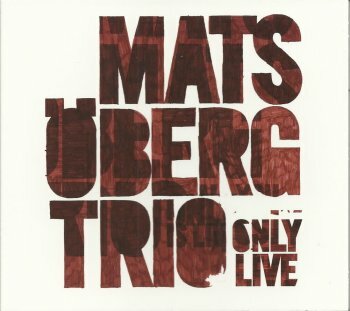 Musical wizard Mats Öberg released a second album on the Moserbie record label. In 2013 already. Together with Filip Auguston (bass) and Sebastian Voegler (drums), Mats Öberg did a concert at the Glenn Miller Café in Stockholm in June 2011. "Only Live" presents a recording of this concert. The below video should give you a good enough idea of what the trio sounds live.